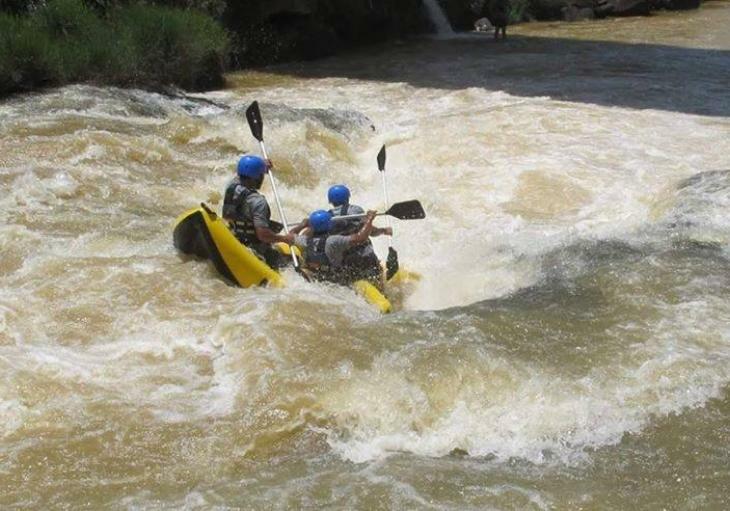 The first white water rafting trip of its kind, in Vietnam! 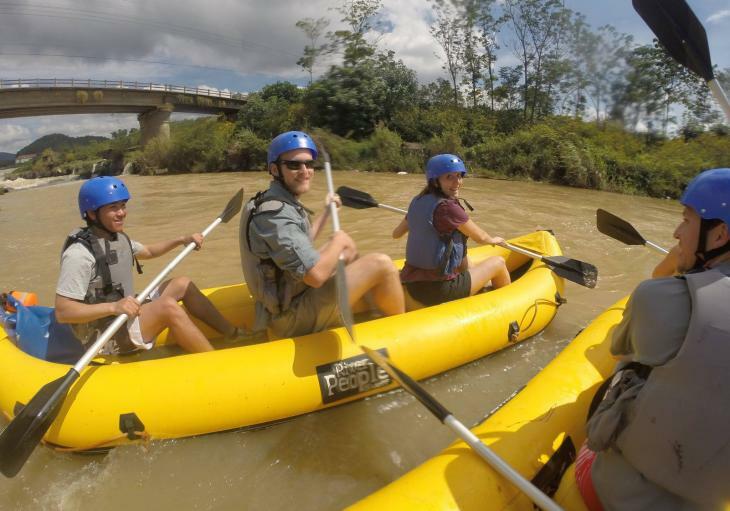 This fantastic day trip goes into one of the least explored areas of Dalat, and down a fantastic stretch of the Da Don River with Class 2, and 3 rapids. 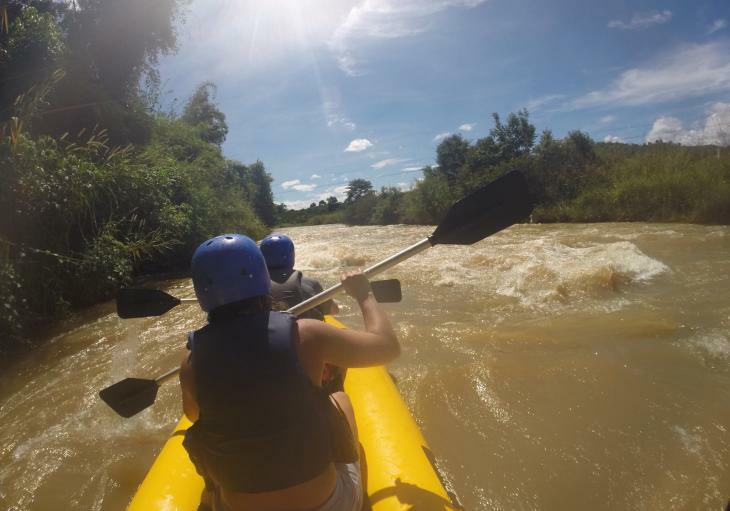 A fantastic way to explore the deep countryside of Vietnam and get your adrenaline fix for the week at the same time. Pick up time from your hotel is at 8:00 am, and is followed by a 1 hour transfer out to Da Don Village, which the river runs through. Once we get to our start point we inflate the rafts, go through a briefing where technique for this river and this style of raft are covered, then board the rafts and are on our way. We use 2 man kayak style rafts to navigate the river as they provide better maneuverability and allow us to run the river even when the water level is lower. The first rapid we encounter is a Class 2, which quickly gets our blood pumping. Immediately after this we encounter the first of 2 waterfalls on the trip. We portage the rafts through the waterfall and then jump 6 meters to the river below. The next section of river has a lower class but continuous rapids that roll through the stunning countryside. We come to an area with a fantastic coffee plantation that we need to portage the raft through to avoid the 2nd of the waterfalls on this trip. We have another series of intense and continuous rapids before finally coming to a 3km flat section. Great photo ops are available as we paddle through this calmer section of river. After a short break to take in the scenery we prepare for the most intense part of the trip which has us bombing through a Class 3 rapid which is immediately followed by several Class 2 rapids. We finally finish our adventure having run through 11 kilometers of the mighty Da Don River. A welcome lunch spot is set up right alongside the river. Lunch is picnic style with fresh fruits and vegetables, and more than enough to satisfy the appetite you have built up. After lunch we rest for a while and enjoy the remoteness of the spot we are at and then our vehicle meets us for the 1 hour transfer back to Dalat.